I follow this operation, but the hint is wrong. This is really network issue( GFW- Chinese own). 1. Change the makefile statements “make requirements”, add “-v” in command go get -u. Because I need where errors occur. Now I run make requirements \ make build \make test successfully. Ps: Chinese coders are hard. The container builds for the first time, seems that everything in the dockerfile is executed. 2.1 There is no /build folder in path the shell spawned in. I used the make commands, and then run the executable in the /build folder. The main questions: Is this the correct way? I think it’s weird mainly because I see in the output the first time I run docker-compose run --rm loraserver bash that the Dockerfile is executed (which contains the make arguments). Where did you read that the build is at /build? If that is somewhere in the docs, then it should be fixed. Regardless of using Docker or not the compiled binaries are stored under ./build (relative to the project root). It is not in the documentation. I tried to understand it via the code, because the information on how to use docker and build from source was very short - and my thought was that everything below that chapter does not refer to docker. 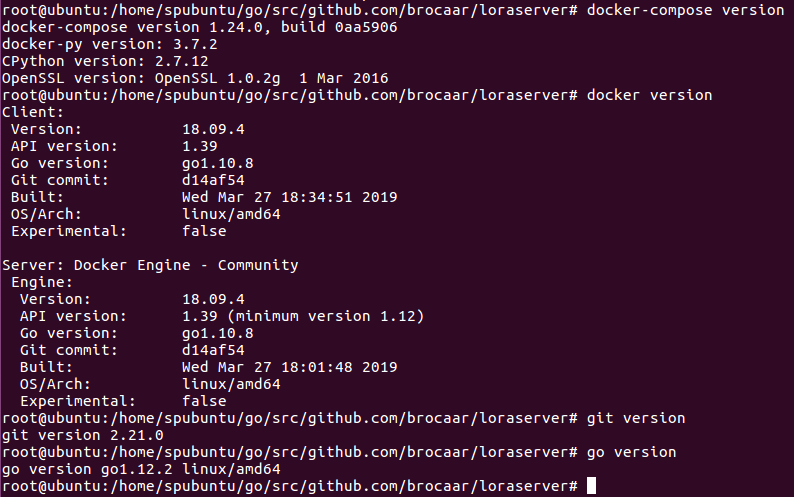 Here (https://github.com/brocaar/lora-app-server/blob/master/Dockerfile#L24) docker copies the files from the build folder (that is created via the make command) and then execute the compiled binaries. Regarding my first question: Was that the correct way? But this (https://github.com/brocaar/lora-app-server/blob/master/docker-compose.yml) is included? I just added the arguments that was missing from here (https://docs.loraserver.io/install/docker/#docker-compose). I’m sorry for all the questions. I encountered the same problem on windows 7 and modified the code in a similar way before compiling it. every time I compile the lora source code i get these errors. You will see that the last command is failing, where dep is executed. 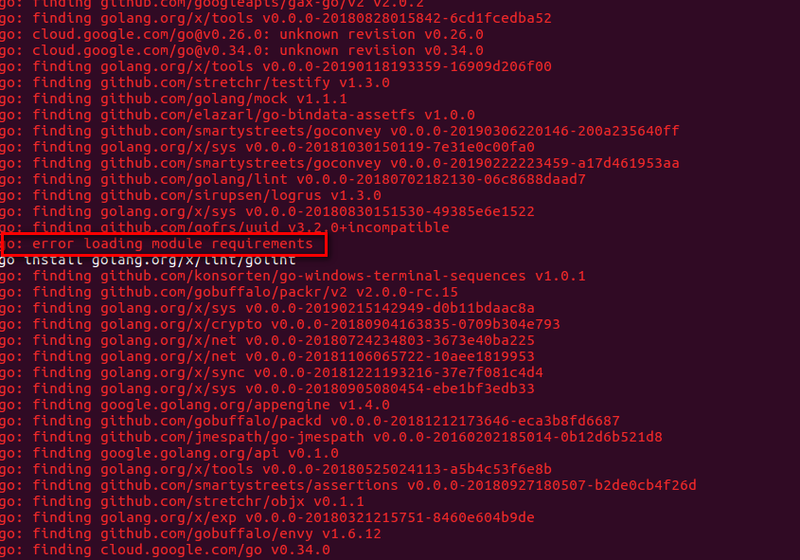 This tool is installed a couple of lines above go get -u github.com/golang/dep/cmd/dep. So mabe could you please share me with the file you have download? I having this issue also? can i know how to solve it? to build the loraserver, But I got the following error, what is the problem? I am confused about this error, please help ,thanks.